In case you missed it... Here's video of Jeremy Lin showing off some speed for a monster block. During the first quarter of Monday night's game against the Golden State Warriors, he chased down forward Draymond Green and blocked his layup attempt from behind. Boom. Way to hustle. 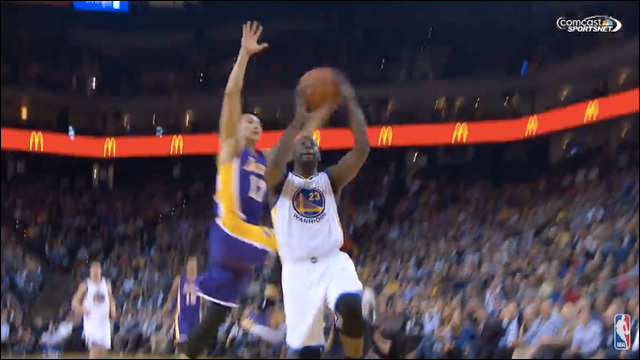 Alas, the Lakers lost to the Warriors, 105-108.